While the heroic figures of British history were off fighting wars, having statues built and generally getting themselves into the history books, there was some poor sap cleaning up after them. British history has only happened because of a lot of people doing a lot of terrible jobs. 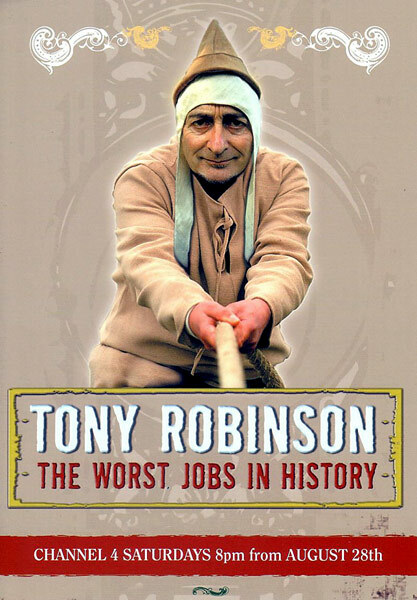 As befits the man behind Baldrick, Tony Robinson returns to investigate life in the underbelly of our past times for a brand new series of The Worst Jobs in History . Tony gets his nose firmly back to the historical grindstone as he looks at some of the horrendous tasks behind some of the most important strands of British history. In five new episodes he sees how the events, institutions, emblems and economics that have made us what we are, have been brought about by an anonymous army of workers. The new series cover Britain's urban history, Royal history, industrial, maritime, and rural history. In each programme Tony tries his hand at a number of jobs and then decides which is the very worst of all, before doing it for real. As Tony slides down the careers ladder he discovers a weird and wonderful cast of vital bit parts from the great drama of history. With the help of historians, archaeologists, craftsmen and experts he brings Puggers, Leggers, Hurriers, Trappers, Trimmers, Flying Men and Fighting Women, Sin Eaters, Fusée-Chain Makers, Whipping Boys, Fur Sweaters and Snotties blinking into the light. The first episode deals with the worst jobs in Britain's urban history. 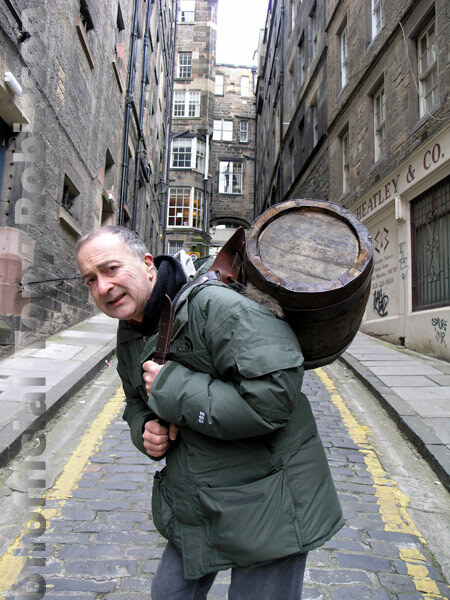 Tony does the back breaking job of Water Caddy, confronts his fear of heights as a Fireman, suffers the ignominy of clearing up dog excrement as a Pure Collector and even risks a bloody nose earning a living as a Fighting Woman. But the worst job he leaves to the very end and it's one that would make anyone hopping mad, the Asphalt Paviour. Click on image to see a bigger picture. All images are copyright and not to be reproduced in any way without prior permission. 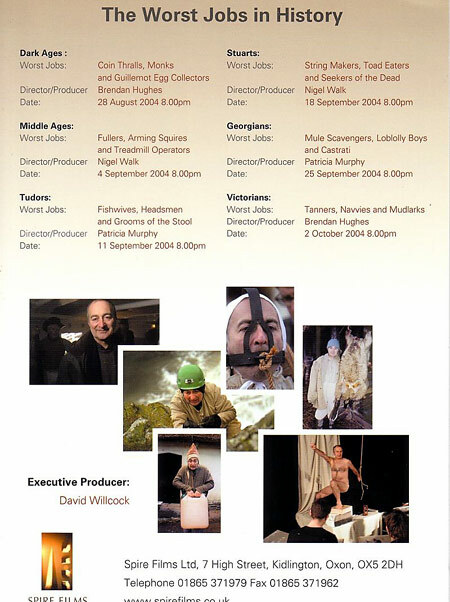 A series of 6 programmes shown on Channel 4 between 28th August and 2nd October 2004. Covering the Worst Jobs in History from the Dark ages to the Victorians. 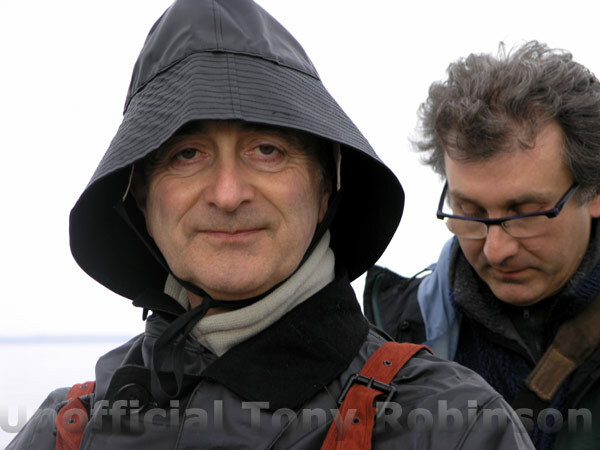 Tony Robinson has set out to investigate life in the underbelly of History. 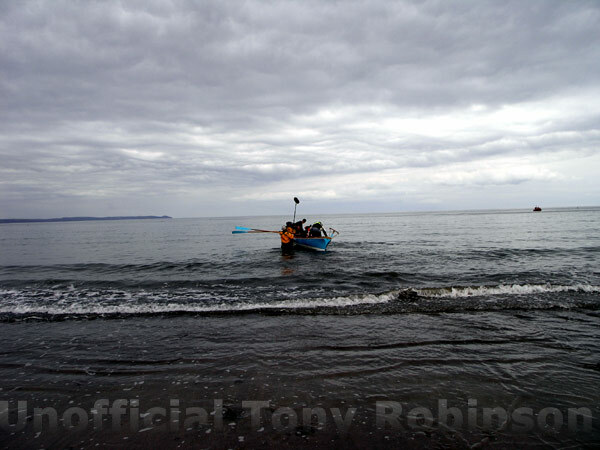 Whether it's swilling out the crotch of a knight's soiled armour after the battle of Agincourt, risking his neck on a bleak cliff collecting guillemont eggs or as 'Groom of the Stool' going to places where none of Henry VIII's six wives would venture - Tony endures it all to get to the bottom (quite literally) of the story. 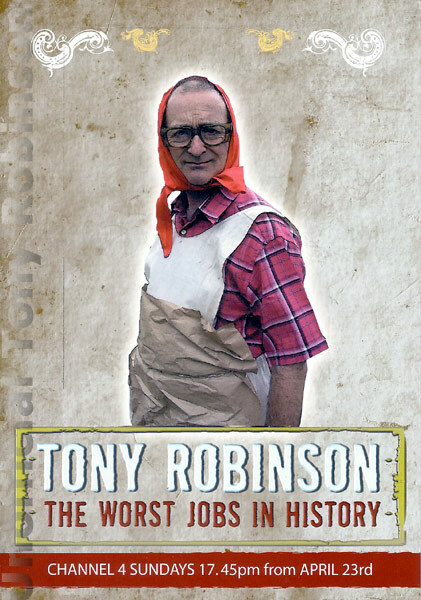 Covering the Roman invasion to the reign of Queen Victoria, Tony seeks out the worst jobs of each era. The very names, Powder Monkey Seeker of the Dead and Spit Boy underline the fact that the past is a different and fairly disgusting country. 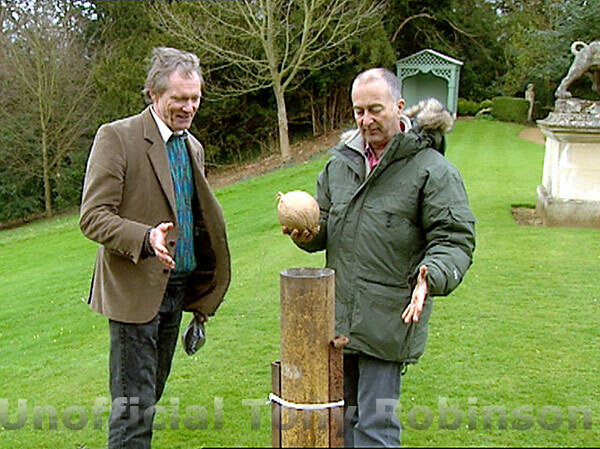 The Gunpowder Plot draws Tony to the role of the Saltpetre man who collected human waste for its nitrate content to turn into gunpowder. In the same vein, he looks at some of the worst jobs behind the building of the great medieval cathedrals and at the dire conditions on Nelson's Victory where the most common form of retirement was being sewn into your hammock with a couple of cannon balls and dropped over the side. Then there's the impact of the Industrial Revolution, a source of wealth and power for the few, but a cornucopia of lousy jobs for the many.